Associate Professor, Feb. 23, 2016 – Present, Assistant Professor, Aug. 31, 2008 – Feb. 22, 2016, Computer Science and Engineering Department, College of Engineering, Qatar University, Doha, Qatar. Affiliate Associate Professor, Apr. 1, 2019 – Mar. 31, 2022, and Nov. 2015 – Oct. 2018, Affiliate Assistant Professor, Nov. 2012 – Oct. 2015, Concordia Institute for Information Systems Engineering, Concordia University, Montreal, Canada. Adjunct Associate Professor, Jun. 2015 – May 2018, Electrical and Computer Engineering, Faculty of Engineering,University of Waterloo, Waterloo, Canada. Adjunct Assistant Professor, Aug. 2012 – Jul. 2015, Electrical and Computer Engineering, School of Engineering, University of New Mexico, New Mexico, USA. Faculty R&D Affiliate, Sept. 2010 – Jul. 2014, Qatar Mobility Innovation Center (QMIC), Doha, Qatar. Ph.D., Electrical and Computer Engineering, Faculty of Engineering, University of Waterloo, Canada, 2006. M.Sc., Engineering Systems and Computing, School of Engineering, University of Guelph, Canada, 2002. B.Sc., Computer Science, Faculty of Science, University of Tripoli, Libya, 1996. Khaled Bashir Shaban, a native of Libya, received his Bachelor degree in Computer Science in 1996 from the Faculty of Science, University of Tripoli, Tripoli, Libya. From 1996 to 2000 he worked as a software developer and as an instructor for industries and academia. In 2000, he started a Master of Science study program in Engineering Systems and Computing, School of Engineering, University of Guelph, Ontario, Canada. His thesis title was ‘Information Fusion in a Cooperative Multi-agent System for Web Information Retrieval.’ The aim of the work was to improve the performance of Web searching tools, in terms of efficiency and information relevancy. He finished the program and earned the degree in 2002. He enrolled in a Ph.D. program in Electrical and Computer Engineering, at the Department of Electrical and Computer Engineering, University of Waterloo, Ontario, Canada, in 2003. The research work was targeting the application of text semantic understanding in document mining. The thesis title was ‘A Semantic Graph Model for Text Representation and Matching in Document Mining.’ During and after his graduate study program, he was involved with industries as a Research and Development Consultant through his own company; Multimedia Paradise. The PhD degree was conferred on October, 24th, 2006. 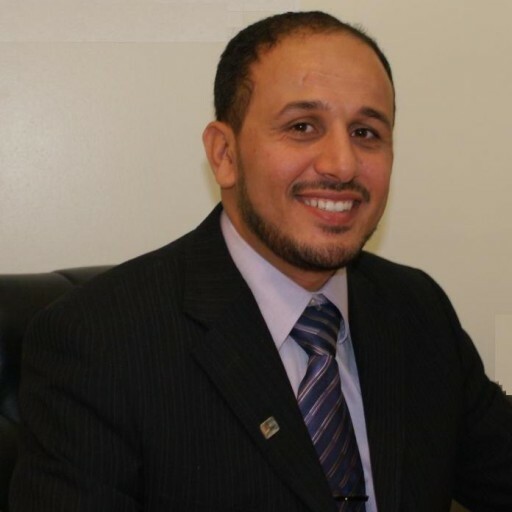 Since September of 2008, Dr. Khaled Bashir Shaban has been a Faculty Member at Qatar University, in the Computer Science and Engineering Department, College of Engineering. In 2017, he established a startup company, Smart Pivoting LLC., at Qatar Science and Technology Park. Since then, he has been the General Manager of the company. Dr. Khaled Bashir Shaban research experience in academic and industrial institutions covers a variety of domains in intelligent systems application and design. In his M.Sc. work, he investigated the application of information fusion in multi-agent systems for improving Web information retrieval. The work resulted in improvement of Web searching tools, in terms of efficiency and information relevancy. In his Ph.D., he also worked on semantic-based document mining systems and introduced a formal semantic representation of linguistic inputs, and developed a new distance measure to determine the similarities between contents of documents. He has been involved, both in academic and industrial settings, with a number of research and development projects including building natural speech understanding voice enabled systems, developing advanced eLearning and mobile systems, applying sophisticated artificial intelligence, knowledge discovery, and data science techniques, and solving several optimization problems in various fields. The development and results of his work have been published in several international journals and conferences. Through business, he leads the development of creative products and services to help clients and partners leverage the power of technology to grow their businesses.